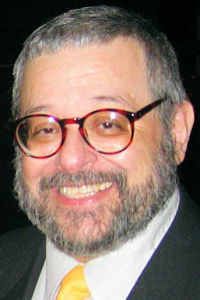 Political scientist and journalist Angelo Falcón, who brought a focus on Latino and in particular Puerto Rican political issues to the forefront of the academy through organizations like the Institute for Puerto Rican Policy and scholarly projects like the Latino National Political Survey, died on May 24. He was 66. As important as his academic pursuits were, Falcón is probably better remembered for his public outreach, both in his own writing and advocacy (he was a board member of the National Hispanic Media Coalition) and broadcast appearances focused on Latino rights and representation. In one high profile example from 2007, he helped found the Defend the Honor Campaign, which successfully lobbied PBS and documentarian Ken Burns to include the Latino experience in their World War II series, The War. He edited the Latino Policy eNewsletter and chaired the Latino Census Network. Falcón’s work on the Census seems especially timely in the lead-up to the 2020 decennial count (here’s a report he authored from 2013). He chaired the Census Bureau’s Advisory Committee on the Hispanic Population for years and was a founding member on the bureau’s National Advisory Committee on Racial, Ethnic and Other Populations. Angel Manuel Falcón was born June 23, 1951, in San Juan, Puerto Rico. His family moved to New York City shortly after he was born. He was raised in Brooklyn’s Los Sures neighborhood — it was in first grade there that a teacher determined his name must be Angelo, as opposed to Angel – and he remained attached to the area. Starting in 1980, he taught part time at Queens College and the John Jay College of Criminal Justice. While at Jay he began the Institute for Puerto Rican Policy, which in 2005 was renamed the National Institute for Latino Policy and for which he would be connected for the rest of his life. Falcon authored a number of major reports for the institute, including the Atlas of Stateside Puerto Ricans for the government of Puerto Rico in 2004. This entry was posted in Career, Recognition and tagged Passings, Political Science, Puerto Rico. Bookmark the permalink. Post a comment or leave a trackback: Trackback URL.